Founded in 1937 Teagle Machinery is a manufacturer of inspiring and innovative agricultural machinery, best known and market leader, for their extensive range of bale processors. With an impressive archive that spans 75 years, Tom Teagle was one of Cornwall’s foremost inventors whose natural talent started the company. 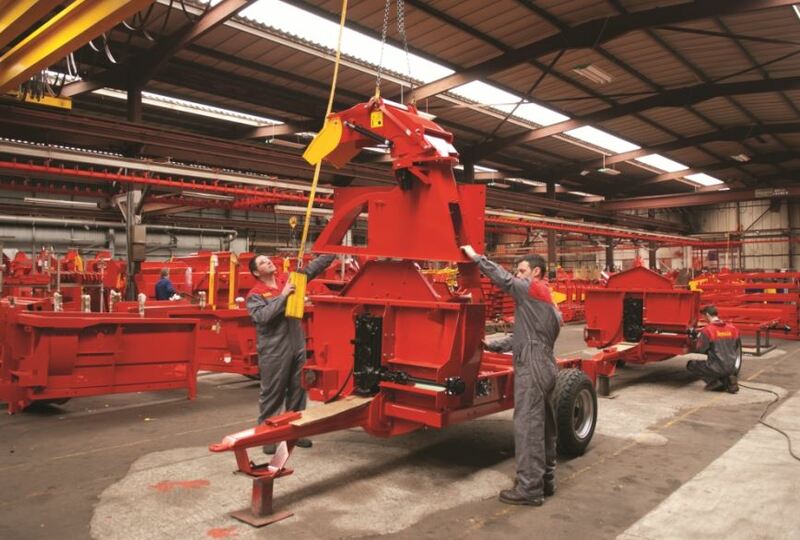 Creating machines such as tipcarts, potato planters, fertiliser spreaders, hedge trimmers, concrete mixers and even a 49cc two-stroke cyclemotor, some of these machines are still produced today. A family business with core values, strong links within the community, an established team of sales managers and a committed network of dealers, which results in a strong market share in both for the UK and export. Advances in technology have transformed how the agricultural sector operates today. Precision farming from touchscreen GPS satellite systems and the Bluetooth wireless control box connection between operator and machine are just a couple of examples of how Teagle has embraced digital technologies in tackling the daily trials of the farming community. In 2017 it developed its most sophisticated machine yet, the Tomahawk C12 Calibrator, capable of processing straw to a consistent chop length at 11tons/hr on a rotor running at 2000rpm (a first in the UK market). It’s due to this ingenuity and continual thirst to improve and evolve its product range that has cemented its position as the specialist within the bale processing market. This reputation is sustained by consistently reacting to the needs of its customers and underpinning the changing requirements with an impressive commitment to product development. A new research & development facility to accommodate the expansion of this vital function within the company was completed in 2018. Over recent years Teagle has embarked on an ambitious growth strategy, which is focussed on developing export markets and they now have clients in more than 50 counties worldwide. Whilst the head office and manufacturing facilities are based in Cornwall, it now has a truly international team, based across the globe, the success of this strategy has seen their sales double over the last 3-5 years and exports now represent almost 50% of their orders. During the last few years, Teagle has invested heavily in new buildings, plant and equipment creating a world class manufacturing site. This has been bolstered in 2018 with the award of grants towards the purchase of a plasma cutting machine, hydraulic press, robot welder and CNC lathe. In response to an estimated shortfall of 20,000 engineering graduates a year, and growing reports from the industry that the skills shortage is having a significant impact on productivity and growth. This year Teagle has increased the number of apprenticeships they have available with various opportunities throughout the factory, gaining qualifications in welding, fabrication, engineering and even accountancy. Sustainability has always been core to their business and Teagle now generate 70% of their total power needs from wind and solar power. They have received great recognition in this area where they were awarded Overall Winner at the 2016 Cornwall Sustainability Awards and runner-up at the 2018 Cornwall Business Awards in the Sustainability category. Embarking on a comprehensive lean manufacturing programme, where all team members are trained and empowered to deliver continuous improvement, will help Teagle to be more efficient, reduce lead-times and continue to keep them ahead of the competition.